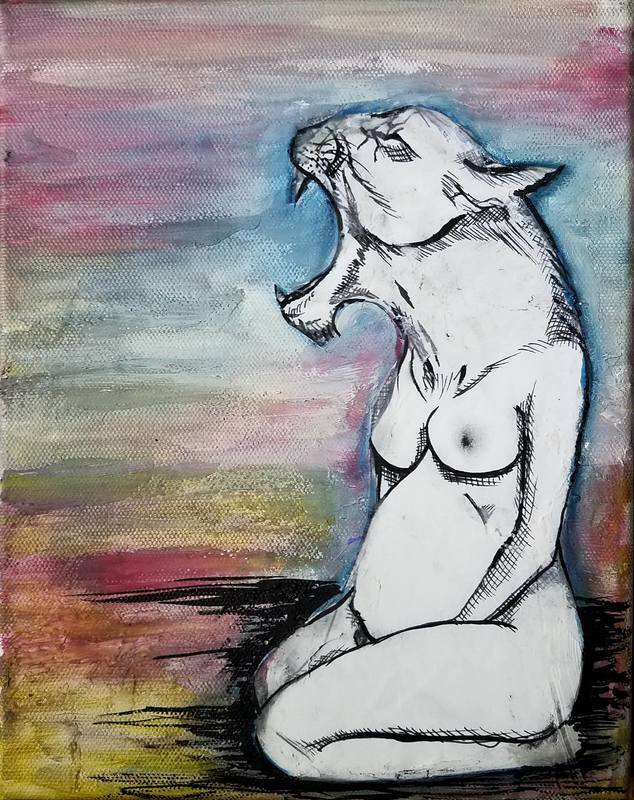 Motherhood Series Original Mixed Media Works by Contemporary Artist Bailey Wingler. The Motherhood Collection features illustrative ink drawings on paper that are then attached to painted canvas. These abstracted, anthropomorphic drawings emerged in consideration of various stages of my pregnancies. While correlations between women and animals have a long, sometimes devisive history, this collection draws on the natural, often animalistic instincts that mothers of all types experience and share.